I know this amp has been out for a few years, but for a long time the EC-300B was the all-out statement amp for WAVAC. It’s one of the few amps still in the current lineup that was designed by Nobu Shishido. It is still their all-out work with 300B’s, and some say the best amp they ever made. The fact that they make amps that cost way into six figures now is no reason reviewers or you should overlook this classic 300B amp. At the heart of the EC-300B is the Inverted Interstage Transformer Coupling circuit developed by Nobu Shishido. This removes all the coupling capacitors from the circuit. I promise you can hear the difference; in fact, this maybe the best reason for buying any WAVAC SET amp. 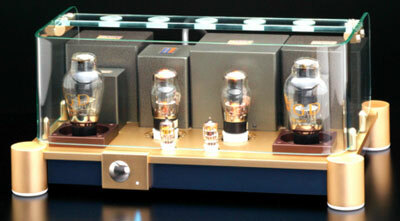 The EC-300B, to any tube lover, is simply beautiful to behold, but don’t mistake that for a lack of substance. Just start by looking at the array of six Western Electric Tubes. Each mounted in tube sockets milled from solid blocks of Teflon, with gold-plated bronze phosphor contacts. Each tube socket is isolated from the chassis by its own suspension. Then, of course, there is the chassis that’s milled out of a solid block of aluminum alloy. The most important parts of any SET are the transformers. It is here that WAVAC went all out, and I mean all out with the EC-300B. The amp weights 60 pounds. They use only transformers designed by TANGO, the Japanese company noted for making the best cost-no-object transformers in the world. Still, WAVAC chooses to wind their transformers in house. I promise you, this is where a lot of the cost of this amp lies. A couple of matters of convince I would like to mention. First is the fact that the EC-300B is completely self-biasing, even if you use different tubes. Second is in regard to the back panel and hookup. The placement of the substantial and beautiful input jacks and speaker terminals on the top deck, which of course are all gold-plated, is a stroke of ergonomic genius. You won’t believe how easy it is to hook up everything so nice and tight. I had just finished reviewing or auditioning several great amps, and once again my little WAVAC MD-300B had proven to be the most musical and enjoyable. Then along came the opportunity to have the EC-300B in my system. I had to really wonder, at three times the cost if it could possibly be that much better? As I mentioned above, the connections are laid out in a way that makes setup very simple. I had the amp up and running in less than five minutes. I took another five minutes to dress the cables and I was ready. I let it play off the server for half a day and then I thought it was time for a listen. So what does it sound like? “I had no idea you could get that close to live music”, said a non-audiophile. “Spooky, I mean it’s just hard to believe”, said a speaker designer. 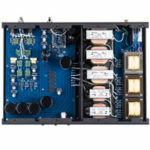 Maybe the first thing you will notice is that the EC-300B is the quietest amp you’ve ever heard. Not the quietest tube amp, but the quietest amp. I think this allows you to hear one of its most captivating qualities; its incredible sense of pace and rhythm. I have never heard anything like it. I find myself tapping my foot almost as often as I do at live music. I was listening to bluegrass with my 83-year-old mother-In-law and I looked over to see her tapping her foot too. It’s hard not to. Yet, when you first sit down to listen to the EC-300B, you’re not immediately blown away. The amp is so unbelievably natural that, at first, you’re not sure what’s going on and then you quit worrying about what’s going on and you just start listening to music, glorious music. Music that I swear sounds like it’s being performed right there in front of you, not reproduced. There are lots I’m getting ready to say about this amp, but it can all be summed up by the two quotes above. One by a seasoned audiophile and speaker designer; another by a non-audiophile in his early thirties hearing his first truly high-end system. The EC-300B both brings a live event into your room, and it takes you to the live event depending on how it is recorded. I’m not saying it sounds as good as live. I am saying it brings me closer than I ever dreamed. So, I’ve let the cat out of the bag. I like this amp. I like it a lot. If you have high efficiency speakers, don’t audition it in your home if you’re not willing to do whatever it takes to obtain one. So how does it pull off this magical trick of taking recorded music and almost convincing you it’s live? I think it all starts in the EC-300B’s ability to do things we think no one amp can do. For example, it has an ability to be both incredibly dynamic and nimble at the same time. It has more sheer speed than any amp I’ve ever heard giving it an incredible since of immediacy, but at the same time the music seems to float effortlessly in space and never seems forced or strained. The bass has a rhythm that sounds life like, but when there is no bass it adds no warmth or slam of its own. Maybe the biggest surprise is how much tonal accuracy and purity the EC-300B has with instruments and voices, and at the same time it has the greatest detail, speed, and micro-dynamics of any amp I have ever heard. I guess you see what I’m getting at here? The WAVAC EC-300B has the ability to do what we are not used to any one amp being able to do. In fact, I had come to believe that in order to get certain of these qualities in an amp, I had to sacrifice the others. I now know this is not so; at least not with the WAVAC EC-300B. Well let’s talk about some specific now. The Bass goes much deeper than I had ever expected with any SET. At the same time the EC-300B lights up the bass so that you can hear more tonal colors, better pitch definition, and more of the air that follows the initial impact of the leading edge. With drums, you get the impact of the stick hitting the skin, the thunder of the drum, but on good recordings you also hear the air that moves with the mighty strikes of big drums. On stand-up basses and cellos, the ability to hear the strings is beautiful, but the sound of the wood bodies with the air moving in them is something very special. Then, there is the ability of the WAVAC EC-300B’s to let you hear the space around the instrument and the decay and echo so naturally. And let me tell you when there is real bass on a recording it’s actually startling. It’s so much fun to play a couple LP’s that have no deep bass and then play one with real bass. It’s a jaw-dropping experience for most listeners. The Midrange is the glory of all the SET’s I have heard, especially the WAVAC’s. The EC-300B, combined with the incredible Shindo Masseto preamp, the WGA Model 3 speakers and the Murat Super Tweeters, play voices and instruments in a way that is scary real. For the first time in my room, this is the best sound I’ve heard except for the all-Shindo system. No, as Warren said when he came to hear the system, “that’s the best I’ve ever heard.” I’m not saying this system is as good as the elusive best I’ve ever heard, (which the all-Shindo system surely is for me), I’m just saying when I listen to the above system, it doesn’t cross my mind that there is better. I’m thinking instead about the music and the performance. Again, it is the midrange that I find the most difficult to describe. In my first review, I said the same thing about the incredible little Shindo Aurieges preamp. I ended up saying that the Aurieges “does its magic that I have not heard in other components in my system; it’s something to do with breathing life into the system. Small differences can be heard in voices and breathing; instruments have rich harmonic structure.” This describes the EC-300B as well. Using the WAVAC EC-300B with the Masseto greatly expands on this. First, there just seems to be a whole lot more information getting to the speakers and out into the room. At the same time, this information seems to be coming into the room in a more natural and relaxed way, that is until some incredible dynamic passage comes along. With the WAVAC EC-300B, it is much easier to hear the differences from one instrument to another. When listening to a trio of guitar or the backup singers, it is so much easier to hear each one in their own space. But, I’m failing miserably at telling you the glory of the midrange of the amp. I’m sitting here as I write, listening to Mary Lou Lord sing “’52 Vincent Black Lighting” accompanied only by her guitar. That’s right, just her voice and a guitar recorded in the New York subway. Yet it’s so explosive, so emotional, yet so natural and relaxed at the same time. You can feel the emotion of her voice, the power of the strings, the warmth of the guitar body, and most of all you are compelled to stop and listen. This is far from an audiophile recording, but it comes to life through the EC-300B. I think what brings it to life is the subtle details you can now hear in her breathing and phrasing, along with the rhythm of her guitar playing. Another thing I notice as I sit and listen to this live recording is that the longer she plays, the more often you hear the strings sound a little loose when she strums them really hard. I’ve listened to this music many, many times and never noticed this before. Well there it is a nice audiophile “saying” if I ever heard one, but it is true. The lower midrange and mid bass is just incredible. Combined with a speaker like the WGA Ikonoklast 3’s that doesn’t store up any bass energy of their own, it produces a purity of sound in the upper bass and lower mid’s that I have never heard from recorded music. It allows plucked strings, drum strikes, and other upper bass transients to be startlingly alive, and I do mean startlingly. High frequencies, according to the specs, go out to 100kHz, and I used the amp throughout the review with the Murata Super Tweeters and simply put: I’ve never heard more extended highs, and at the same time I’ve never heard smother, more natural sounding highs. They never, I repeat, never sounded bright or overly etched. The WAVAC EC-300B has as a wider and deeper soundstage than any amp I have heard in my system. Saying that really misses the point, though. Like the bass or the top-end, the soundstage is totally dependent on the recording. It has a great sound stage that does not draw attention to itself. What you will notice is a soundstage with scale. Just as real life instruments sound large, sometimes, bigger than life. I don’t know why musicians love to walk over and stick their horns right into the mic, but they do and that larger-than-life sound is part of a live Jazz performance. That’s what I mean by scale. I want to hear a vocal or a trumpet start soft and small then swell in volume and size as they reach back and let it go. The WAVAC does this with more gusto than any amp I have ever heard. Another thing I want to hear in a natural soundstage is space and air around, and even within an instrument. I’ve said this before but, I don’t want strings floating around in some black velvet space like a modern painting that show strings and notes but no instrument or musician. I want to hear the body of the guitar, I want to hear the floor under the bass, I want to hear the sound of the strings inside a piano. The EC-300B takes this ability of my system to heights I never dreamed could be reached. This amp, like the Shindo preamps, possess another kind of depth. The EC-300B lets you hear deep into the emotion of the music. This is something that is so important in live music, but rarely heard in recorded music. For example, can you hear the difference in textures, and harmonics when Willie Nelson sings a song verses some lesser singer singing it? You can hear and feel the difference in the emotions of a great ensemble playing a number. This is what I mean by listening deep into music, it’s layers, timbers, harmonics, and feelings. All of this is much easier with the EC-300B in the system than any other amp I have ever heard. With it, you are brought deep into the emotions of the music through small nuances that they let you hear, but nothing is ever razor sharp, in fact, it’s instead a beautiful blend of delicacy and dynamics. It basically draws you into the musical event. 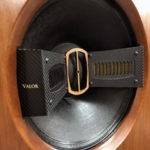 At the end of my review of the WAVAC MD-300B, I said, “What I’m trying to say is that it lets me listen to my stereo and think about the music and the performance and not the equipment. For a seasoned audiophile like me, this is really something.” Well, this is true by a margin of four to five times with the EC-300B. This amplifier is the real thing or at least it brings you so close to the real thing you won’t believe it. 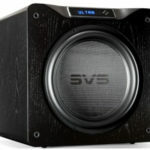 It’s the best amplifier I’ve ever heard, and it has the build quality to match. Like a Lamborghini or a Ferrari, it is a cost-no-object product. Admittedly most of us, unfortunately, can’t spend $24 grand on audio. If somehow you can or a special opportunity comes along, go for it. You will not be sorry. If not, there is always the WAVAC MD 300B or the Shindo Montiel. I wish to thank Jack Roberts, and the gracious editor of Dagogo for the thoughtful and thorough review of the beautiful WAVAC EC-300B amplifier. WAVAC products represent a departure from the usual hi-end component. They possess a truly compelling beauty, both visually and sonically, capable of emotional connectivity that is uniquely distinctive. I’m pleased that Mr. Roberts has also come to this conclusion. Concerning the original $24k retail price, although I had worked with the factory to reduce the retail price of almost all WAVAC products by 10% a little less than two years ago, production and shipping costs have not remained constant regrettably. The new retail price is $24,490, reflecting my desire to minimize price increases, and hopefully, afford more music lovers the opportunity to own and experience the beauty that is WAVAC. I am just wondering whether the 6L6 driver tubes can be substituted or not by 350 B as I want to do a tube rolling. I manage to use KT66 without any problem to substitute the RCA 6L6. Though I applaud your interest in tube rolling, both the KT66 (1.3A) and the 350B (1.6A) have greater filament current draw than the specified 6L6 tube (0.9 A). Even though a tube may “work” in a particular circuit, I don’t advise going beyond +15 % over rated filament current specs to insure long term reliability. The KT66 is on the edge, the 350B is too much. Hope this helps, and enjoy your beautiful WAVAC EC-300B ! I am probably about your age, looking to retire within a decade, and I want a system which will keep me happy indefinitely. Two years ago, after running the same system for 27 years, I upgraded to Spectral amps and Vivid speakers. I auditioned DACs and found that I much preferred the tube-based Audio Note DAC. Now I am looking to revive analog but I am considering another major change. By description, the WAVAC EC-300B sounds like the sound that I crave: the truth. I will have to travel across the US to hear it, however. My Spectral/Vivid system certainly has strengths such as great bass and nice midrange but it still sounds more like good Hi-Fi, not like a recreation of music. So I wonder if the WAVAC EC-300B is worth the 3000 mile trip (and price tag)? Or what about using the MD-805 monos with my existing speakers (89dB/ 4 ohm)? What can I say, I love the EC 300B, but will get a chance to hear the MD 805s in a couple of weeks in my system. Email me back and I’ll let you know how they compare. Jack, did you use the stock Shuguang 300B tubes for this review ? And the 6L6 tubes, were they also stock ? Did you get to listen to the Wavac MD-805m ? 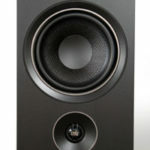 I currently use a EC-300B with my 93 db sensitive Tannoy speakers but I do feel sometimes my speakers need more power. I was contemplating a change to the similarly priced MD-805m. Would be glad to hear from some experienced ears on how this amp stacks up against other amps in its class and especially the EC-300B.